I often hear clients be wishy-washy on how much they charge. Some clients cringe when it comes asking to be paid. OH NO!!!! Time to get the credit card information… NOOOOO!!!!!! Payment is coming!!! The world is ending! Ah, us funny humans. We talk about wanting more money. We talk about prosperity. We talk about abundance. We talk about the “lifestyle”, yet we don’t talk about value. Earlier today I was at the local pet store grabbing some food for my three little dogs, when these words caught my attention, “value what matters” (marketing on a dog food display). Take those words in and allow them to land and connect with you… value what matters. Breathe these words in and now say these words and let them connect to your body. Feel them…. value what matters. Now feel these words in your heart… value what matters. And now let’s say it one more time and notice what comes through your mind… value what matters. What comes up for you? There is no right or wrong answer. Just be curious. Yet as we are all stepping into our (and our business’s) purpose, there are certain things that have a special place for us regarding value. What do you value? 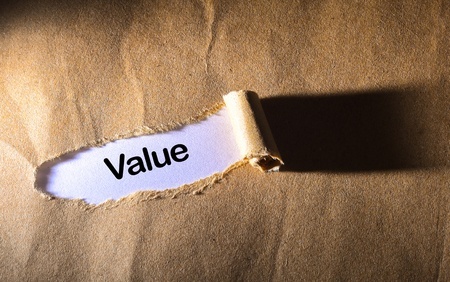 What matters to you that you have placed a value on it? Here are some of mine, and I invite you to be fully honest with yourself. (Again, no judgement, this is an exploration for yourself). Note I did not include how much money I want in my bank account. If your value includes this, great, again no judgement, this is for you. Now let’s take the statement on a deeper level… what matters to you? Here is an interesting observation. What matters to you is what you spend your time, money, and resources on. Again, I will repeat, what matters to you is what you spend your time, money, and resources on. You place a financial value on these areas. You may say x matters to you, yet if you are being honest with your behaviors and actions, do these support your statement. My kids matter to me…. yet I have missed my son’s first baseball game, or “I’m too busy with x, y, or z to do ___ with you”. I want my business to grow, yet you don’t sign up to services or even opportunities that will get there. Consciously or unconsciously, you are placing a value of something above something else. If you really want it, then you may think twice about your second order extra-large cup specialty coffee. In business I hear, “I can’t afford it”, “if only…”, “I can’t because….”. Yes, owning, developing, and growing a business is no small feat, hence why so many businesses don’t survive. If you don’t value what matters to you regarding your business, then yes you will find every excuse or reason to not grow into that next level of abundance and prosperity. Yet, if we can use our “what we value” with our purpose so we can massively monetize our mastery, then why not?! There is no shame in wanting the “lifestyle” and all that can come with it. I break up my day and enjoy a walk in the forest or let the dogs run the beach. Guess what, some of my best ah ha moments comes during these down times especially when I find myself stuck with a problem and not sure how to solve it for myself or my clients. I work hard, don’t get me wrong, and I learned to be strategic. I value my time, my insights, my wisdom and abilities to know and implement solutions for results, and most of all the value I bring to excel in growth. I value that I choose not to take on a huge number of clients if I want to give them the best of me in a very personalized 1-1 or small group capacity. I value that for me to be at the best version of myself I can’t be a work-a-holic (I have lupus). I value that if I want, believe, and demonstrate being in value while having a business, then guess what I better walk the talk. I choose to charge more financially, so I can show up fully, so that I can support my clients, and that I can enjoy all aspects of being. No excuses, no holding back, no comprising… I stand in value for what matters for myself, and being an advocate for fellow heart center entrepreneurs who are here to make a difference in this world. What are you choosing to do right now to value what matters? From homeless in high school to a $9.8 million ongoing passive income stream to build a student center for her college (before the age of 21); Mellissa Rempfer is a business coach, consultant, and trainer who see opportunities and takes action. Mellissa invites entrepreneurs to step into their Brilliance. Anything is possible if you dream, take action, and work in collaboration. Mellissa Rempfer owns and runs two companies. Giving Excellence is a small boutique firm committed to helping purpose drive entrepreneurs build and grow the business of their dreams while making a difference in the world. Mellissa is also the visionary behind the collaborative cooperative global community of entrepreneurs called the Brilliance and Business. Brilliance and Business is a collaborative community of entrepreneurs, coaches, and marketers who are dedicated in supporting each other to grow our businesses utilizing the power of we. Collectively we can each do what we are brilliant at, and grow our businesses while together we elevate. Before we get in any commitment with someone else we need to build a relationship. Think about getting married. You meet the person. You have coffee or lunch. You go out on a few dates. Your relationship deepens and you and your significant other become more involved. Over time the relationship if it is a good match will lead to a deeper commitment. With each step closer you and the other person makes, there is more of an investment with each other. 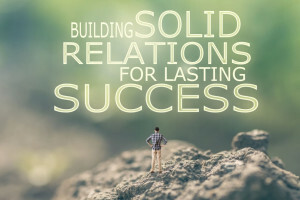 This is also true when it comes to nurture relationships within business. Your clients and potential clients want to get to know you first before they go all in. 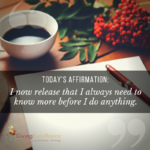 There are many ways you can support the getting to know you stage at the free or low cost level. Your freebie/opt-in for your email list. Video trainings. 1-1 discover/strategy/intake sessions (whatever you want to call them). I connect with people on social media and reach out to them inviting them to join this group and/or grab lunch/coffee. 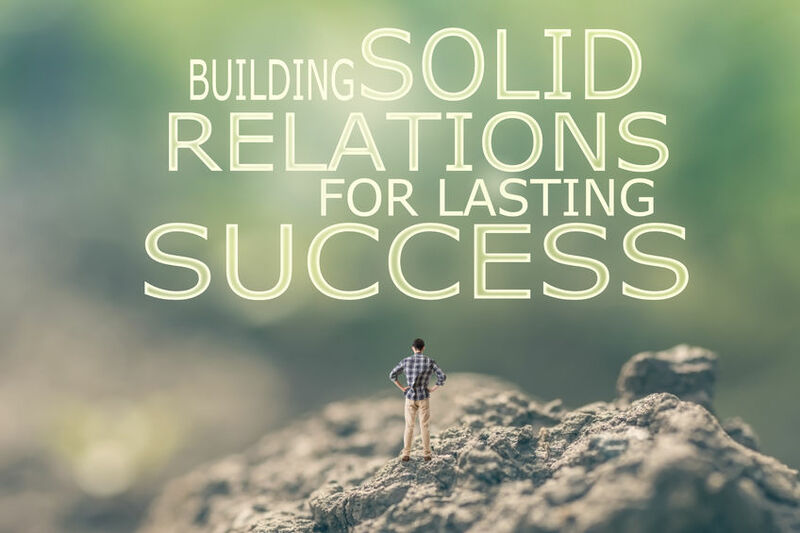 This week take a look at what are some of the ways you deepen and build relationships, commitment, and influence that invites your people to spend more time (and money) with you. I would love to hear what are some of the ways you engage with others to build a relationship. Please chime in below.